As an easily accessible and highly attractive city, Copenhagen is the ideal home for the Summit. Originally a Viking fishing village founded in the 10th century, Copenhagen is now one of the fastest growing metropolitan destinations in Europe. The city uniquely combines its old history, traditions and charm with a cosmopolitan vibe, high fashion and modern architecture. The capital of Denmark symbolizes the country’s traditions of both national pride and engagement with the world as well as a long history of vigorous democratic debate. Copenhagen is a pocket-sized fairy tale and at the same time, a buzzing and innovative hub of ideas. It is a city large enough for every kind of life philosophy, but small enough to bicycle from one end to the other in twenty minutes. It is all there, the urban pulse in the cobbled streets, the castles and bell towers, the artists, the mothers, babies and their strollers, the hipsters and their dreams, the prince and the queen. Copenhagen excels in combining simple and sustainable solutions with a casually sophisticated lifestyle. A lifestyle based on tradition, history and culture, yet constantly moving forward, giving Copenhagen a unique blend between the harmonies of old world charm and the progressive beat of a truly cosmopolitan city. 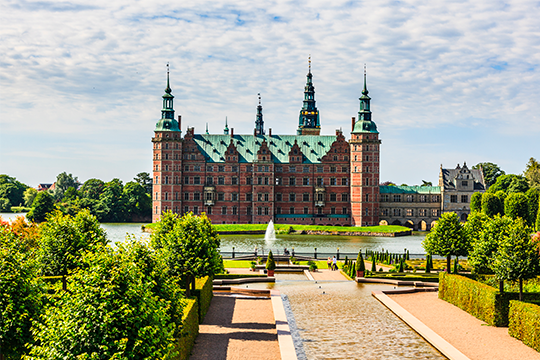 Denmark is one of the oldest kingdoms in the world emerging in the 10th century as a proficient seafaring nation. It is the land of the Vikings, the land of fairytales, and the land famous for being one of the least corrupt countries in the world. 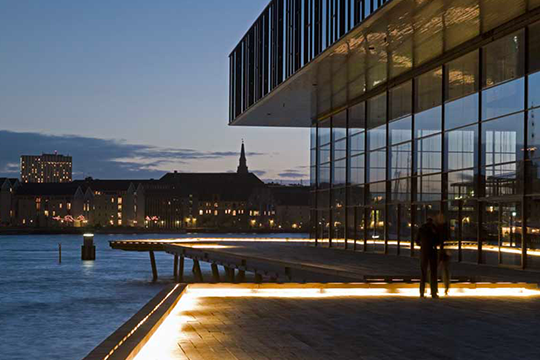 The Copenhagen Democracy Summit takes place at The Royal Danish Playhouse, which is a theatre building for the Royal Danish Theatre situated beautifully on the harbor front near central Copenhagen. The Royal Danish Playhouse is designed by the Danish architectural practice Lundgaard & Tranberg who has won awards for its architecture and design.